Sensing systems based on FBG technology have numerous advantages compared to conventional electrical sensors. 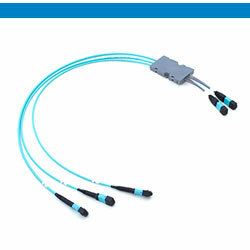 Fiber optic sensors use light as the signal carrier, rather than electric current as in conventional sensors, which renders them immune to interference from electrostatic, electromagnetic and radio sources. 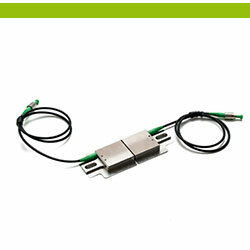 The sensor can also be exposed to extreme temperatures and operate in harsh environments. 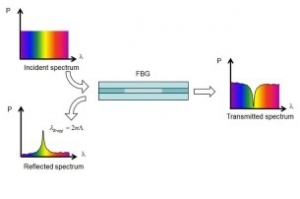 A fiber bragg grating is basically a spatial variation of the refractive index inside the core of an optical fiber. This variation is created by exposing the core to a periodic pattern of UV light with a defined energy. After this process the grating works as a wavelength selective mirror. At each position of the periodic index variation a small part of the light travelling along the fiber is reflected back. These small portions of reflected light are combined coherently to one large reflection. 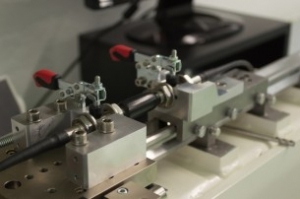 The calibration bench is a revolutionary device intended for extremely accurate calibration and verification of any type of strain or displacement sensors. The device is offering repeatable measurements over wide traveling range and thus providing necessary outputs about the sensor quality.